LOS ANGELES, CA — September 25, 2017 — As a participant of the Partners in Preservation: Main Streets campaign, the Los Angeles Conservancy is encouraging the public to visit VoteYourMainStreet.org/weho to help the organization secure funding to support the rehabilitation of West Hollywood’s beloved Formosa Café. The Conservancy nominated the iconic site on Santa Monica Boulevard—which is part of Los Angeles’ Main Street, Route 66. The prize—$150,000—would specifically fund the rehabilitation of the Pacific Electric Red Car trolley, the oldest portion of the building. In 1925, a former prizefighter from New York City bought and renovated a retired, turn-of-the-century Pacific Electric Red Car trolley as a luncheon counter called The Red Post Cafe. In 1945, Lem Quon, a Hong Kong-born chef, became a partner in the business and ran the kitchen. The building expanded, was redecorated in a Cantonese theme, and renamed the Formosa Café. Located on West Hollywood’s main drag of Santa Monica Boulevard/Route 66, its location across the street from a major movie studio made it a popular hangout for Hollywood stars. The walls were lined with 250 photos of stars who dined here. The Formosa also had a long association with organized crime. Mobsters Mickey Cohen and Bugsy Siegel were regulars, and Cohen used a secret room in the trolley as a thriving bookmaking operation. Quon took over the operation in 1976. Last operated by Quon’s grandson, Vince Jung, the Formosa Café underwent a remodel in 2015 and closed in December 2016. With its future uncertain, a search began for a new operator. In early June 2017, 1933 Group was selected to take over the operation, with plans announced to reopen in the summer of 2018. Specializing in bars and restaurants that embody L.A.’s rich history, 1933 Group has revitalized a number of historic landmarks, including the Highland Park Bowl and North Hollywood’s Idle Hour Café. The Café has been featured in iconic films, including L.A. Confidential and Swingers. 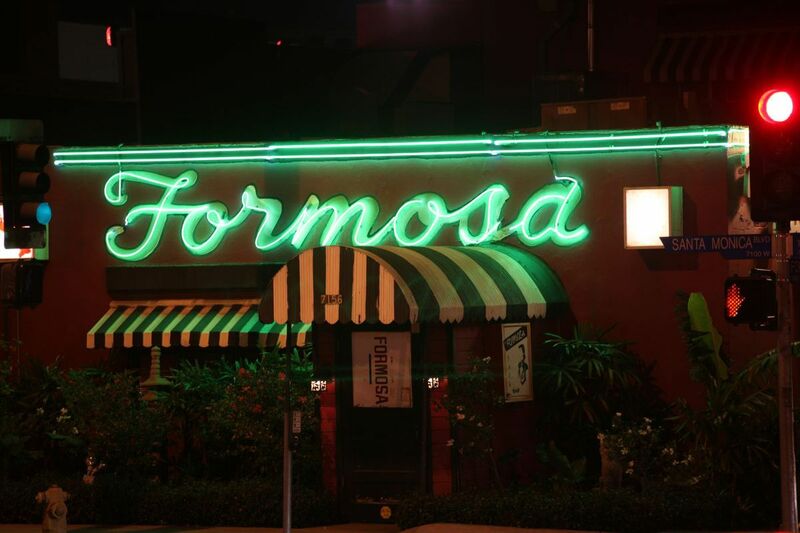 As a beloved L.A.-area landmark and legacy business, the Formosa Café is poised to share its cultural and historical traditions with the next generation. The Conservancy, in partnership with 1933 Group, will hold an Open House Weekend event for the media and the public on Saturday, October 7 from 11 a.m. – 3 p.m., highlighting the importance of Main Street preservation efforts in West Hollywood. The Formosa Café is one of twenty-five projects on historic Main Streets across the country participating in the Partners in Preservation: Main Streets Open House Weekend. As part of the Conservancy’s Open House Weekend, members of the public will be treated to food and giveaways, and the first 200 guests will get exclusive access to the closed café. Special guests and detailed information will be announced on the Conservancy’s Facebook page soon. Delta Air Lines is the sponsor of the Partners in Preservation: Main Streets Open House Weekend. The Open House Weekend event in West Hollywood is one of many local events taking place nationwide between October 6 and 9. According to 2016 data from Main Street America, investments in Main Street districts have a significant impact on local economies – encouraging real estate development as well as the creation of new businesses and jobs. In 2016, $4.65 billion reinvested in Main Street improvement programs resulted in 8,042 building rehabilitations, 5,616 business openings, and 27,462 new jobs. Furthermore, according to a recent study from Morning Consult of 2,201 Americans commissioned by American Express, 79 percent of Americans say that preserving Main Street is important. Additionally, 79 percent of Americans say that the idea of Main Street is what makes America beautiful. Main Street is also seen as vital in connecting Americans to their local community – 82 percent of Americans say that Main Street is important to their ability to socialize with others in a community. A similar amount, 86 percent, say that Main Street is important to the well-being and the enjoyment of a community. For more information and to vote daily for the Formosa Café through October 31, visit VoteYourMainStreet.org/weho and share the love via social media using #VoteYourMainStreet.